In the Laidler Conference, Widnes Wild dramatically snatched the final play off spot with 4-7 win away at Hull Jets. Their 3rd win in their last 4 games sees the NIHL North's newest team finish in 5th place in the table just one point ahead of Hull and Sheffield Senators. The Wild will now face champions Solihull Barons in the first play off semi final at Solihull ice rink on Good Friday. In the final of the Northern Cup, Solway Sharks have a 4-2 overnight lead after the home leg against Sutton Sting. The second leg is tomorrow evening at iceSheffield. In the South 1 Play Off Quarter Finals, Wightlink Raiders beat Bracknell Hornets 7-1 in the first leg while Streatham Redskins game at home to London Raiders was abandoned after two periods after Raiders players attacked Streatham fans on the way off the ice! The Raiders were leading 1-2 at the time. 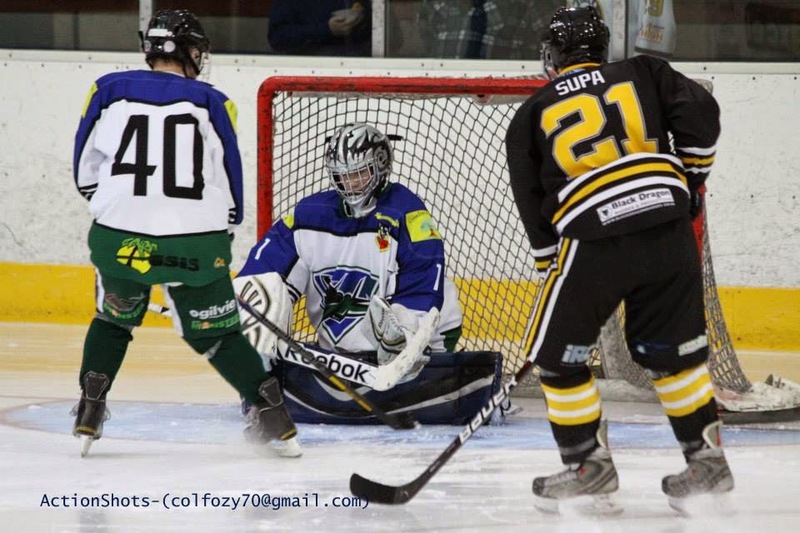 Chelmsford Chieftains won 0-2 away at Solent & Gosport Vikings and Invicta Dynamos won 2-6 away at Cardiff Devils. The return legs of each tie are scheduled for tomorrow evening. The second leg of the Streatham v London match has been cancelled as the Raiders are not able to ice a team due to suspensions. Streatham Redskins have been awarded the place in the semi final. In South 2, Bristol Pitbulls beat Peterborough Islanders 8-2 to move level on points with London Haringey Racers.